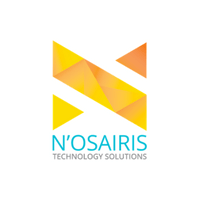 At N’osairis we foresee that the IoT wave will hit emerging Asian countries sooner than later and are in the forefront of enabling organisations to embrace IoT by providing dedicated M2M managed services. Our managed M2M platform is developed by Virtual Access Ireland for organisations to connect end-points cost-effectively and reliably without having to compromise on the security and uptime of the connectivity. Virtual Access provides automated connectivity solutions for Utilities, Critical infrastructure, Emergency services, Vehicles and financial transactions, scalable to tens of thousands of devices. The solution consists of rugged industrial routers and the Activator management system, which automates the deployment and maintenance process. Atilze is the high technology Internet of Things (IoT) venture of Yen Global Berhad, a company listed on the Main Market of Bursa Malaysia, the securities exchange of Malaysia. Atilze’s shareholders (via Yen Global) include Gemtek Technology Co. Ltd of Taiwan, an established global wireless broadband product leader listed on the Taiwan Stock Exchange. Gemtek Technology is a pioneer member of the LoRa Alliance. 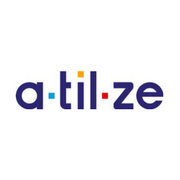 Atilze supplies IoT and connected objects hardware devices, cloud based data-driven applications and services for Connected Cars and solutions built on LoRa technologies. 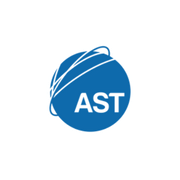 AST Distribution Asia is an established Tier 1 provider of satellite airtime, hardware and solutions for the major constellation networks, and an experienced and trusted Distribution Partner for satellite and radio equipment throughout the Asia. We have developed the business further into providing a seamless management platform, IRIS Terminal Management (TM) which integrated with the Inmarsat M2MAp API. This gives IRIS TM users seamless management and control of approved Inmarsat M2M BGAN terminals. With remote access via a web interface, IRIS TM provides valuable RF and IP network information, assisting with engineering and cost reduction. Robustel Technologies is a technology company focusing on industrial grade wireless machine-to-machine (M2M) communications Internet of Thing (IOT) and telecom grade mobile broadband/access development. 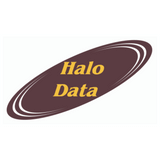 Aimed to design and deliver innovative products and solutions for the M2M AND IOT market, and to be a leading provider of wireless device networking worldwide. Eluon is a Korean based group established on 1998. It consists of 5 companies covering 3 industries. Eluon and its Indonesian subsidiary, PT. Eluon, provides telcos in Korea and Indonesia with reliable core network products and innovative mobile ad platforms. In the IoT ecosystem, Eluon developed an IoT-optimized HSS so that telcos can save a big amount of OPEX on their regular HSS. Eluon INS is a financial solution provider and mainly contacts with financial entities such as banks and credit card companies. Our roadmap is to prepare the cashless environment by developing secure but convenient solutions for both banks and consumers. Nable Communications, Inc. is a high-tech company listed in Korea’s stock market. It provides All-IP Communications solutions of IP telephony, IMS, IoT, and security. The company is serving demands from various customers such as operators, OTT service providers, enterprises, and handset vendors. Nable’s customers in Korea include SKT, KT, LGU+, SK Broadband, Samsung Electronics, NHN (Line service), etc. Nable also has overseas customers in Spain, India, Japan, Malaysia, Hong Kong, and UAE. 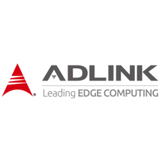 Nable’s products include AllLink Video Surveillance, IMS Core, Session Border Controller, RCS Application Servers, mVoIP Server/Client, LoRa Network Server. For more information about Nable Communications, Inc., please visit www.nablecomm.com.